Bahrain is a tiny island country sitting between Qatar and Saudi Arabia in the Persian Gulf. This Muslim country is one of the most liberal Arab countries. The country discovered and began processing oil before other Arab countries. Most of its oil reserves are gone now. 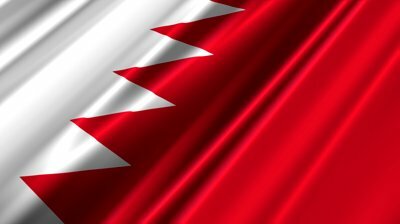 Bahrain declared independence from Great Britain in 1971. Since then, it has been an ally of the U.S. The U.S. Naval Fifth Fleet resides there. 1.3 million people live in Bahrain. The country has only 239 square miles of land. Visit the BBC to learn more about Bahrain. Question: What type of government does Bahrain have? Answer: Bahrain has been ruled by the Khalifa family since 1783. The country has an elected parliament and an independent judiciary. In recent years, conflicts have arisen between the citizens, who are mostly Shia Muslim, and the Sunni leaders. Declan, Tobin. " Fun Bahrain facts for kids ." Easy Science for Kids, Apr 2019. Web. 23 Apr 2019. < https://easyscienceforkids.com/bahrain/ >.